Don't wait for your members to sign up. They're waiting on you! Every once in awhile we hear somebody say they were waiting for their people to “sign up for Flocknote” or that they couldn’t get them to “start using it.” They’re quite relieved when we tell them that they’ve thinking about Flocknote all wrong! And that these are precisely the challenges we designed Flocknote to easily overcome. You don’t have to wait for your people to do something before you start reaching them on Flocknote. This is one of the most powerful reasons email and texting are typically so much better than every other channel! or log in somewhere new. And while your core group of most engaged members might jump through those hoops, many of your people simply won’t. So, of course, you’ll never reach them on those channels. That’s one of the main reasons we created Flocknote in the first place — to overcome precisely those issues that are keeping us from reaching and engaging the people we need to most! Flocknote is not another place your people have to go to in order to get information. On the contrary, it’s a way to push information to people in the places they’re already checking and reading — their email inbox or their text messages. And it does it all without having to wait for them to join, download, signup for, or do anything. Lets you start reaching people immediately. Your folks will just start getting your messages now, and in the places they’re already checking all the time. They can reply back (privately or in a group conversation), vote in polls, RSVP to events, join more groups, opt out, or adjust their notification settings all without — and this is the most powerful part — ever having to download anything, create a separate account and password, or log in anywhere. It just works. 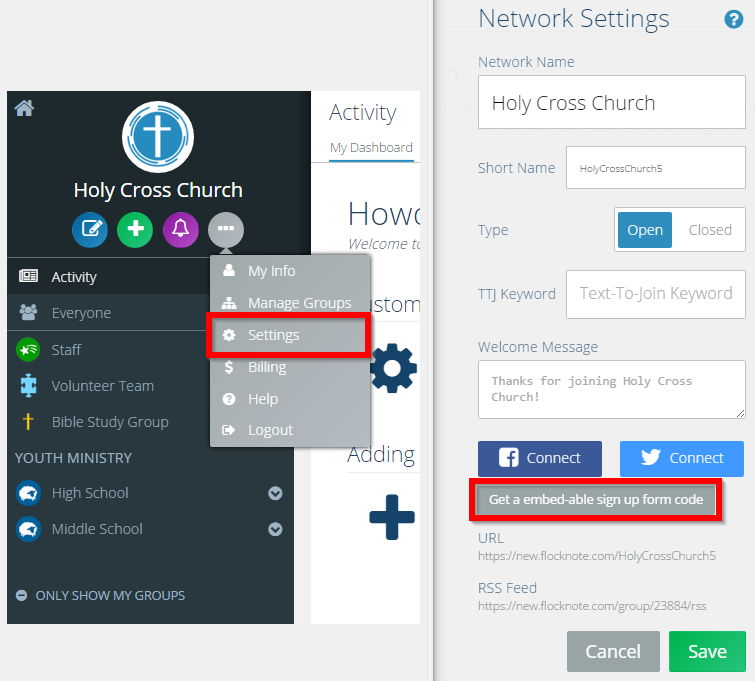 That’s one reason why Flocknote helps churches effectively reach 5-10x as many of your people as any other communication channel that exists today. Furthermore, this is why the smartest thing you can do to improve communications in your community is to first, before you spend time on any other communications platforms or tools, get every single one of your ministries humming-along with their emailing and text messaging. 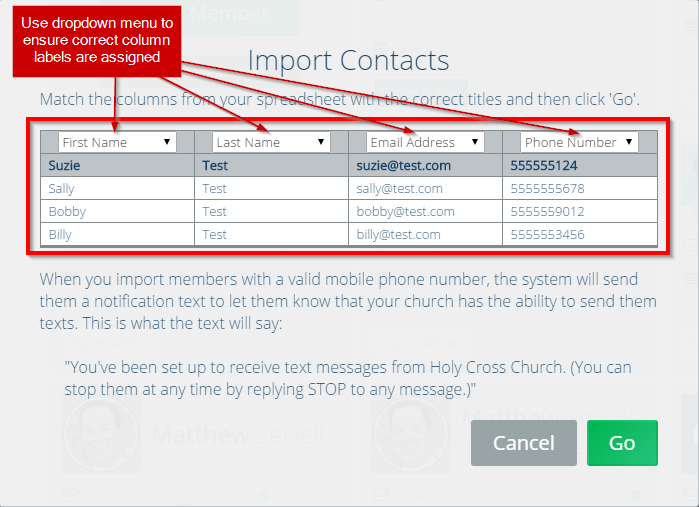 Flocknote’s specifically designed to help every one of your ministry leaders do exactly that, all while better building your overall list of contacts for your whole church like nothing else can. Of course, Flocknote also helps you continually gather more and more contact info from members you don’t have it from yet. But the truth is, you already have a lot more member contact info than you think. 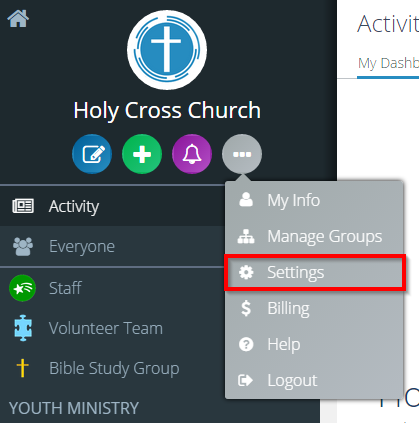 It’s in places like your central database, or in the info you gathered for past events or programs, or in spreadsheets and inboxes that all your ministry leaders currently have spread out in all kinds of places on their own devices. You already have way more email addresses and phone numbers than you realize, it’s just not centralized and made available to use in an organized way. Flocknote fixes all that for you fast. So if you thought you were the one waiting on your members to start using Flocknote, now you know. They’re actually the ones waiting on you! 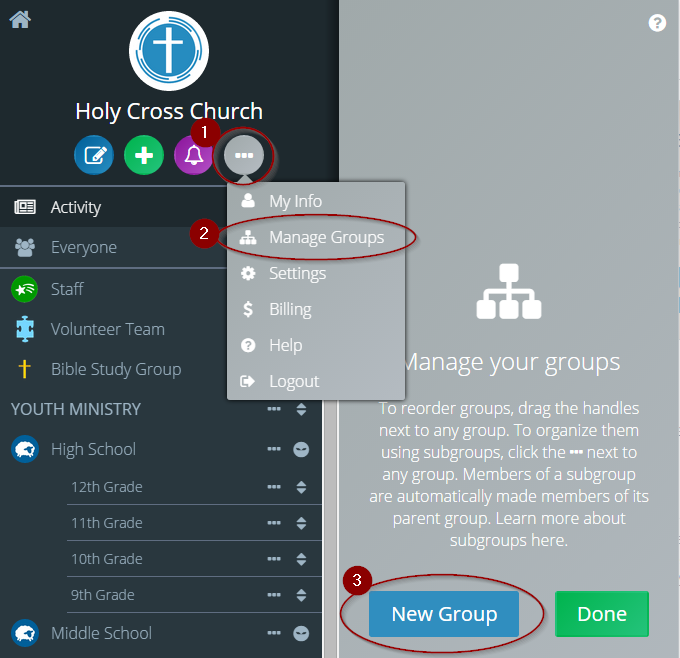 So go get every ministry to put all their contact info into Flocknote and start better reaching your flock today!